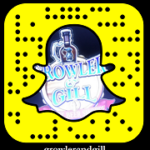 What is Growler & Gill, you ask? With 24 taps of fresh craft beer and over 500 bottles of the finest beers from around the world, Growler & Gill is the perfect destination for devoted beer enthusiasts as well as newcomers to the pleasures of craft beer. Our establishment is aptly named; you’re invited to sample our selections on site in a “gill”—the British equivalent of a 4-ounce glass — and fill up a “growler,” a 64-ounce refillable glass jug. Visiting Growler & Gill is a unique experience. We are a hybrid gastropub and bottle shoppe in Nanuet, NY. Our friendly beer geeks will take you through your own private tasting to help you make your selections. You’ll enjoy your beer presented in the proper glass. Can’t decide? Try a flight of four different beers. You’ll also find a great selection of bottled beer. Our bartenders will be happy to chill, uncork and pour it for you. And be sure to mix-a-six of any bottles/cans to take home. No surprise — our food menu is designed with beer in mind. Featuring Polish, German and American favorites, you’ll definitely want to grab a bite to pair with your beer. At Growler & Gill, we take pride in our selection of draft craft beer, ensuring we always have a variety of styles from different breweries on tap. That way, you’re sure to find something that strikes your fancy. From IPAs to Belgians, to wheat beers and toasty stouts and porters, we feature top sellers as well as new and unique beers. Do you offer free samples to help me make my selection? When you walk up to our hand-carved wood bar, you will notice there are no bar stools. We’ve designed it this way so all of our guests have the opportunity to sample any of the 24 beers on tap. Our knowledgeable beer geeks will guide you through a personal tasting to help you make your selection. Can I purchase a growler of any beer on tap? You can fill a growler (yours or ours) with the majority of beers on tap. Because we always try and feature new and unique beers you won’t find anywhere else, you will sometimes find beers without a growler price listed. This means the beer is not available for growler fills because we have only a limited amount. We want to make sure as many people as possible get to try these special, limited beers! A gill is a the British equivalent of a 4-ounce glass. You can purchase a gill to be used for sampling during any of our tasting events. Grab a table or seat on our comfy sofa and order a pint or a goblet. Not in the mood for a full pint? Have a shorty. Like more than one? Try a flight of four or six different beers. And don’t forget, you can always fill a 32 or 64-ounce growler to go! We also feature premium wine and Prosecco by the glass. You will find a lovely selection of quality, award-winning wines available for drinking in-house at Growler & Gill. Do you have gluten-free beers available? We always have a nice selection of the best gluten-free beers, hard ciders and sodas available in our coolers for drinking in house or to go. Kick back and relax at a table in our tasting room, on our comfy sofas or in our new outdoor beer garden (weather permitting). Pick up a board game from our communal table. Or, browse our bottle shelves while you drink. The best part is that you can take home just about anything you’ve sampled on tap! And our beer geeks love to make recommendations and assist you with your selections. You’ll find the atmosphere at Growler & Gill fun and friendly, with a touch of sophistication. Meet old friends for a cold beer, or make new ones. We always have something going on at Growler & Gill: free beer tastings on Thursday nights, trivia on Wednesday nights, happy hours, open mic night, acoustic music, special events and more. And don’t forget the Lower Hudson Valley Craft Beer Festivals! Stop in soon to see what the buzz is about and why Growler & Gill is the destination of choice for craft beer lovers in the tri-state area.